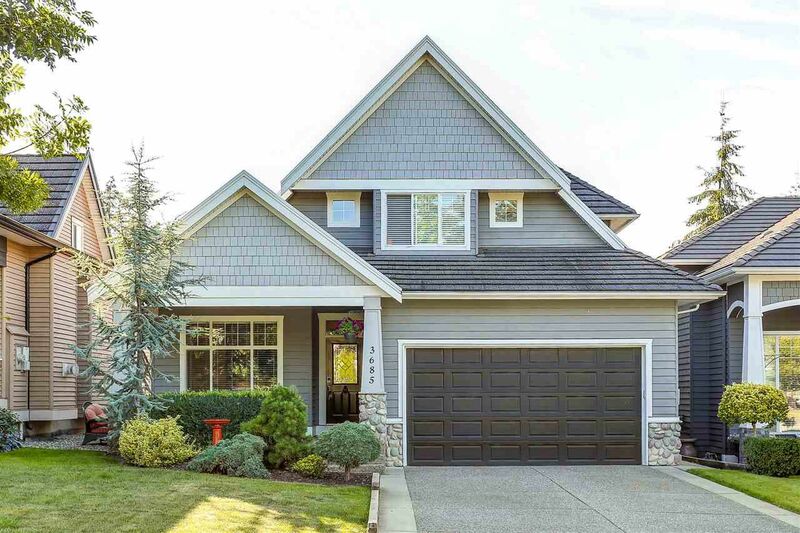 Stunning Executive with total curb appeal on private West facing 5160 sq ft Greenbelt Lot in the exclusive St.Andrews pocket of Rosemary Wynd. Oversized Main boasts entertainers Chefs Kitchen featuring Luxurious Italian Granite, Stainless steel appliances, Viking range and Wok Kitchen. Large office/den and inviting family room with cozy gas fireplace. Maple hardwood through-out, AC/Heat Pump, silhouette blinds. Oversized master with walk-in closet and beautiful ensuite. Large covered verandah at entrance and lovely patio overlooking wide fenced yard with walking trails from lot line. Large basement ready for your ideas with 2 bedroom suite potential. 2 min to Morgan Crossing & Top Southridge School. Priced to sell.